Gift Ideas for the Bride and Father of the Bride from Avon. Bells are ringings once again this wedding season. 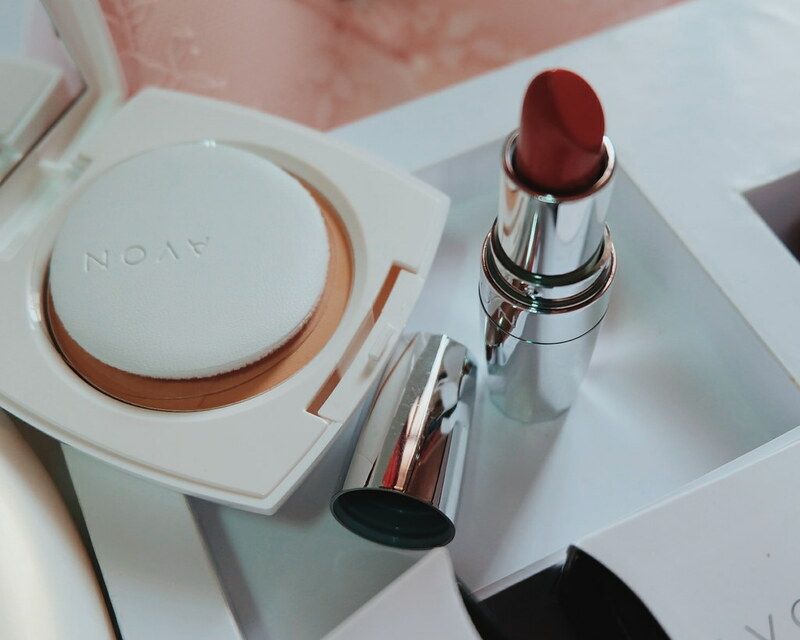 Whether you are a bride, bride-to-be or someone who is just in love, there's a wide range of fine fashion and beauty products for you from the country's number one direct-selling brand, Avon. As June is also for fathers, we cannot forget him with awesome gifts perfect for saying "thank you" (before you say "I do"). Avon sent another awesome and sweet #bloggermail to empower me to say "thank you" to my father. Even if I am not yet getting married anytime soon, I do appreciate his work and care he gave to #motherbear who just had a Masectory, especially when I was traveling and away. Oh my gosh, it is like a perfect gift to any bride-to-be or a gift to yourself. What first caught my attention, the Celestine Moulded Lace Ultra Comfort Cleavage Brassiere (P599). It can be worn in a conventional, criss-cross, asymmetrical, halter, or strapless style. Special embossed moulded cups press against the body for a comfy fit. Pair Pack (₱ 345). Brides need not to be white but should have moisturized skin tone. I have been using this Skin So Soft Soft & White Collagen Protector Whitening Hand & Body Lotion (₱330) after mom complains about my dark uneven skin. Haha. Glow all day long with Ideal White Pressed Powder (₱395) with pearl particles that give you instant brightening effect. Seal the deal with Avon Totally Kissable Lipstick (₱399), which has fruit enzymes and natural oils for beautifully smooth and moisturized lips. I love the Jewelry Collection which adds effortless elegance to any hemline with the Celestine CZ Necklace (P499) and match it with the Celestine CZ earrings (P499) and Celestine CZ ring (P499). 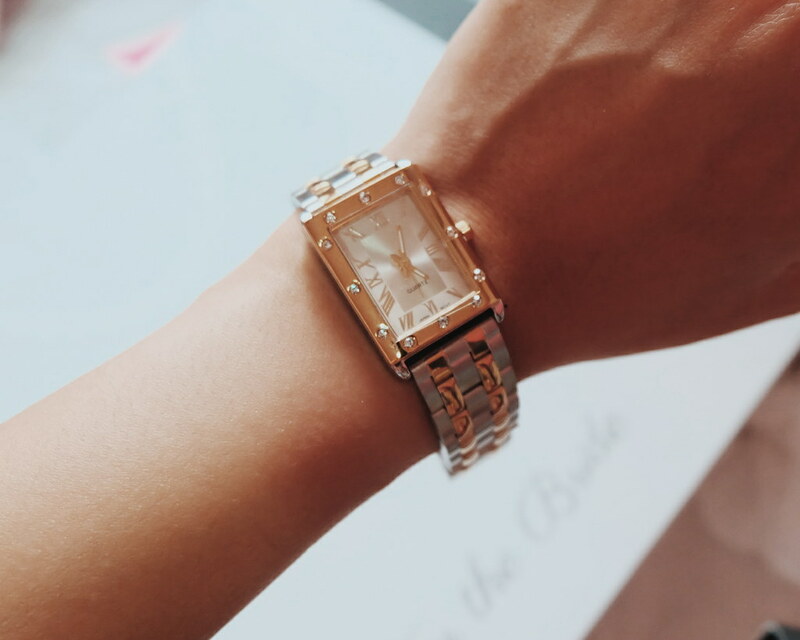 Complete the look with the Celestine Two-tone Watch (P1,299). Ronaldo Necklace and Bracelet Gift Set (₱599) - and although I don't think he loves to wear jewelry such as this, he would be happy to see it. Now, the watch is perfect! He just told me that the one I gave him needs leather strap replacement. 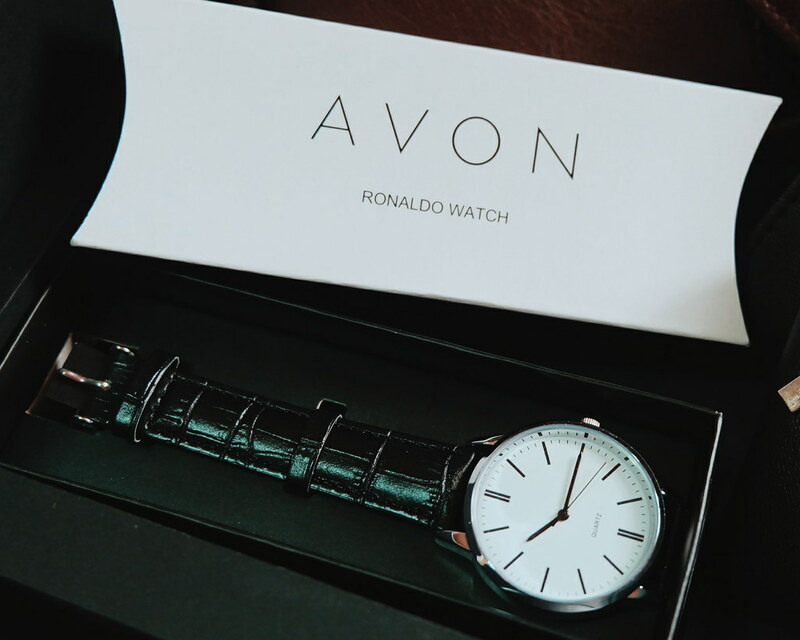 The classic analog Ronaldo Watch(₱999) –versatile enough to match any man’s personal style. I love the travel bags and essentials! Richard 2-Piece Bag Set (₱699) which includes a brown leatherette sling bag and short wallet, or the Richard 3-Piece Gift Set (₱699) that includes a brown leatherette short wallet and coin purse, plus a reversible belt in black and brown leatherette. The gift set also comes with Richard Sunglasses (₱399) with gunmetal matte frames with black plastic arms and gray gradient lens for an edgy look. For the dads who love coffee (my tatay does! ), there's Avon Vacuum Flask (P499) which can hold 500ml liquid and retain temperature up to 3 hours. 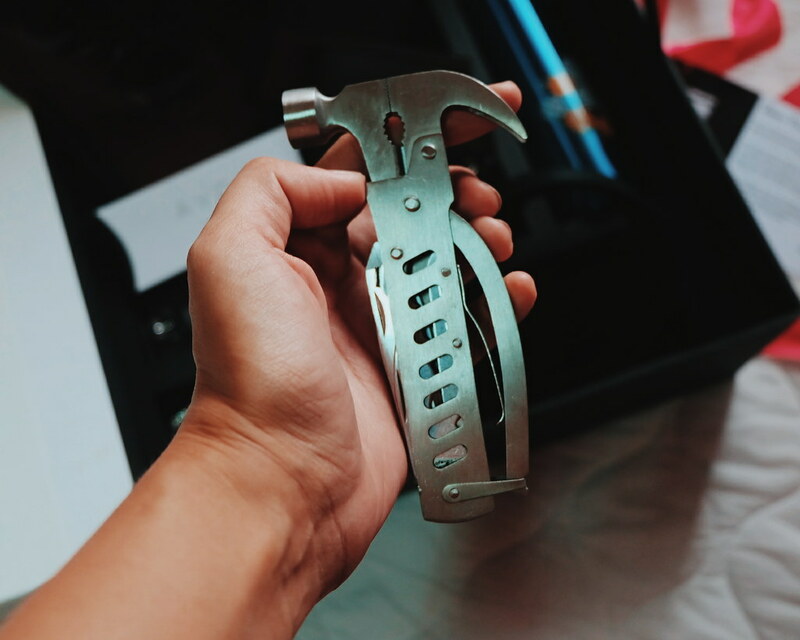 My favorite is the Handy Tool - 10-in-1 Multi-Tool Set (P449) complete with a knife, bottle opener, saw & file, pliers, Philips screwdriver, two-flat screwdrivers, hammer, and nail puller. I want to keep it for myself! 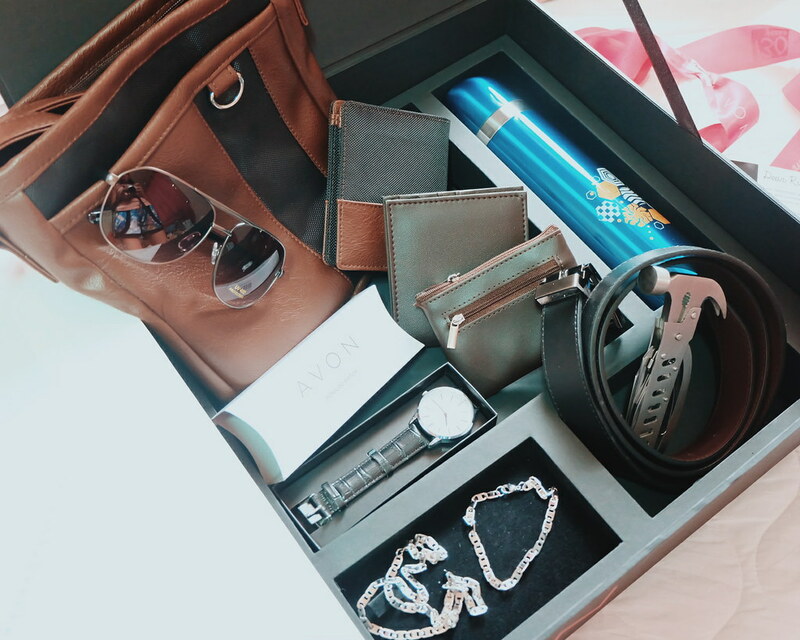 Thank you so much Avon for these empowering gifts and for always making sure that there's something for every member of the family. 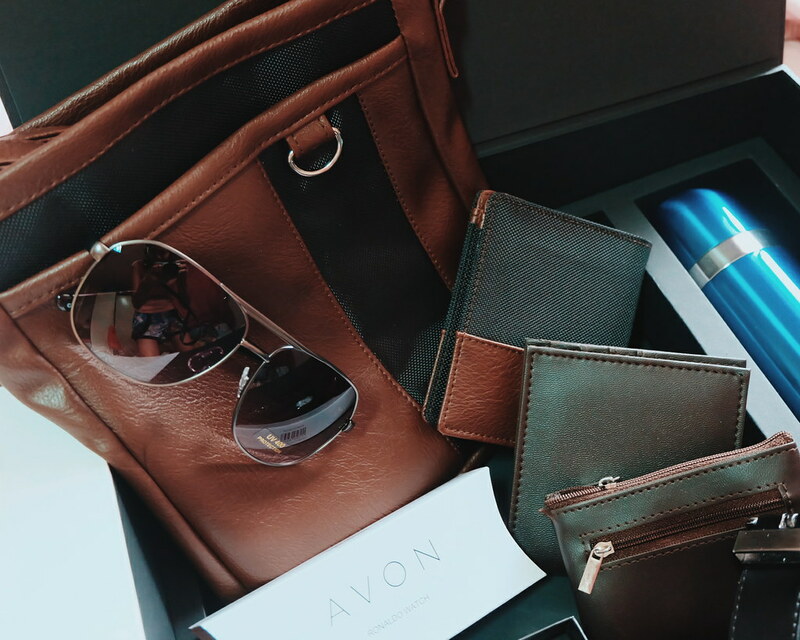 Thank you for sharing inspiring stories, just like that of super dad and successful Avon Representative Rueben Gloria, who says one of the most empowering gifts he has ever received is the Avon earning opportunity. If you want to purchase these gifts, call your Avon Representative, or check out www.avon.com.ph. You may also download the brochure from Google Play or Apple Store. Read more of the awesome Avon Bloggermails here.